I recently spent a week in Patagonia slinging huge flies for huge fish. While I landed quite a few, and unfortunately lost quite a few more, it gave me the longest period of uninterrupted tackle testing I’ve had in several years. Knowing that this was going to be the case, I borrowed a large amount of gear for the trip, so I would have the chance to give you some serious gear breakdowns when I returned. Out of all the gear I brought down, the Redington Behemoth reel stole the show. This is the best big reel on the market for the money ever made, and one of the nicest reels on the market period. Let’s get the big thing out of the way first: the price. 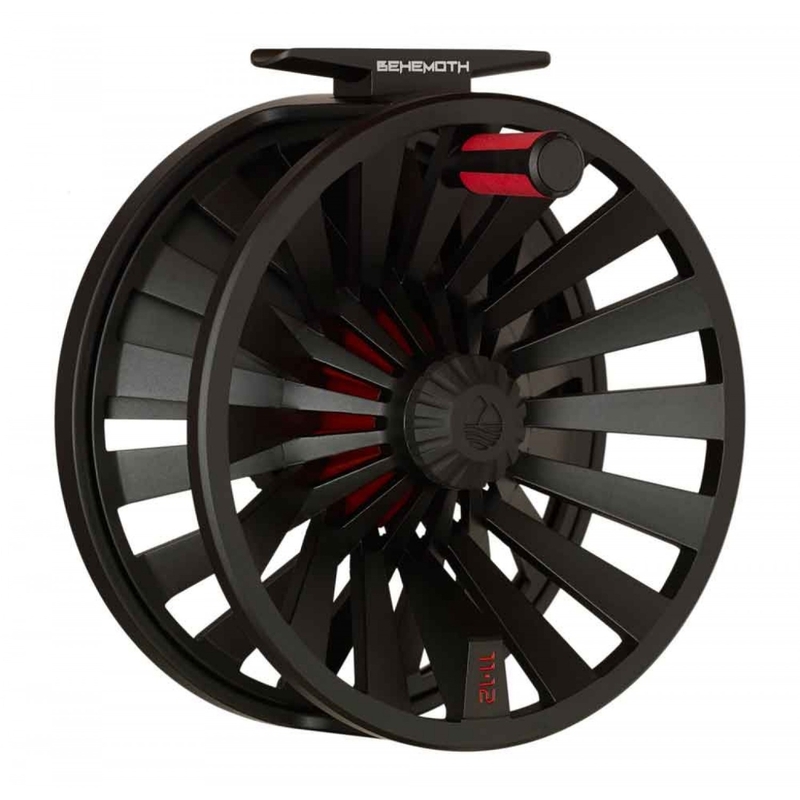 The Redington Behemoth starts at only $109 in a 5/6 and stops at an incredible $129 in an 11/12! Try finding a reel of this quality for that price anywhere else. In fact, I’d challenge you to run a regression analysis analyzing price comparisons across all reels ever made: I strongly suspect that you will never find a reel this good for sale at such a low price point (adjusted for inflation) in the history of fly fishing. It works great for big rainbows. What’s so great about it? Well, it’s die-cast, not machined, which is where most of the cost savings are to be found. In theory die-casting is bad because it leads to lower-grade metal which can more easily be deformed at high speeds and pressures. That’s probably an issue if your primary interest in this reel is to catch 80 lb. wahoo or giant jack crevalle. 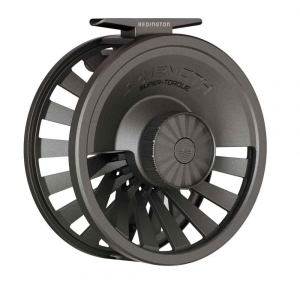 For most ordinary species, including saltwater species, I would be more than comfortable using this reel for a complete season. It might not have the same long-term stamina of a Tibor or Abel, but it will hang with them for several rounds at least. Drag-wise, this thing is robust: nice, evenly adjustable tensioner employing a relatively large carbon fiber washer system similar to that sold by Nautilus and Ross Reels. Drag strength is very similar to my Nautilus NV reels (which I adore). Design wise, it’s a little space aged, and I personally prefer the understated gunmetal version over the black-and-red, but overall it looks nice. Bottom line, this is one of those products you kind of need to pick up and handle to fully appreciate. 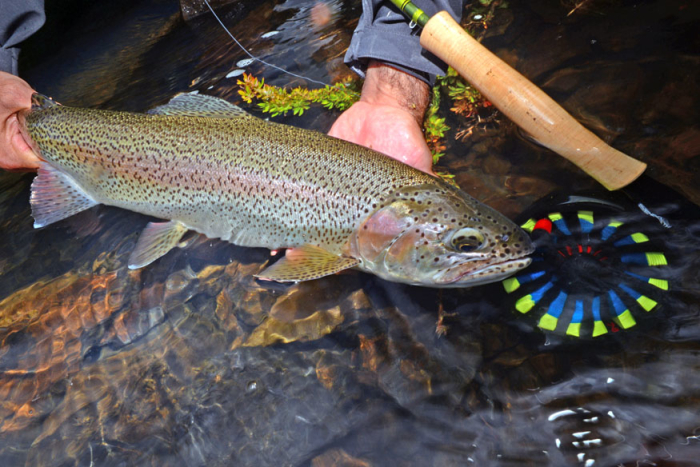 It is more than a match for trout, stripers, and any normal saltwater species. I’m planning on picking up a couple more in the 9/10 size to serve as striper reels. One Response to "Redington Behemoth"